Great cigar for the busy after work or after game schedule. Great smoke when you don't have time for something that takes an hour plus to enjoy. 20-25 minute smoke. Enjoy! smooth smoke with rich flavors developing quickly. Good medium draw with a consistent burn. A cigar to be loved by the novice and afficianado. A truely delicious smoke from Arturo Fuente. This is a very nice, flavorful cigar with an even draw and a delicious smoking pleasure. I like them very much and they are priced right. I love the Short Story just the right size for any evening celebration. I don't even know how many hundred of these I have gone through in the last 5 years, but when I want a great cigar and only have an hour to burn, these are my favorites. They're mild, smooth and not an all night commitment. They pair well with a variety of beverages and they're satisfying. Buy some, just don't buy all of them cuz I'll still want some. if you don't have much time want a fantastic smoke and all its glory try a Arturo Fuente Hemingway Short Story. This is a fantastic cigar. When I don't have an hour or more to enjoy a full sized smoke, this is the one I reach for. Short Story is one of my favorite cigars. Size is perfect for a "quicker" smoke. Smooth, good burn, good taste. this website and highly recommend to friends. Keep up the good work. I do notice this short story is always backorder. Excellent cigar! Easy to light; great draw; superior taste; not bitter! If you only have time for a short smoke the, the Arturo Fuente Short Story is for you! Also, Best Cigar Prices are the best on the Internet! Thank you! This is my second purchase buying these cigars and have to say, they arrived in perfect condition and well moist. This put you apart from all other retailers selling cigars. I will continue to purchase through this website. A delicious smoke evenings are getting cooler and I smoke one every night without freeIng to death. This is a half hour to 45 minute smoke that I think can be enjoyed on my patio right through the winter. Another perfect short cigar! Great for when you don't have much time, but still want a flavorful smoke. This and the Unica 400 are my short cigar favorites. I've smoked these for 2 years every day on my lunch break. Lately, if had some issues with the draw being too hard. Moist,well cared for, smooth,even burning.Arrived promptly. Great cigar for those with a short time available to smoke a cigar. They were just ok, but over priced. The Hemingway Short Story is a nice smoke after a delicious Italian seafood Christmas Eve dinner on a chilly NY state evening! Just wish they were cheaper! Excellent smoke before dinner with a cocktail!! nick adams was happy. I bought my first box this past july . wow. amazing. a must have. great cigar. These Short Stories never fail to deliver a very pleasurable interlude of smoking pleasure. They are well crafted and balanced. Never a disappointment. Always smooth. Very smooth and burns well for a short cigar . I save these to smoke when I’m truly going to be able to enjoy a smoke but don’t have much time. Always a pleasure. With the trend towards larger cigars continuing, quality smokes of this size are hard to find. This is by far the best and continues to deliver. This is a great 20 minute smoke. Smooth and flavorful. Always consistently smooth and flavorful for that quick smoke. 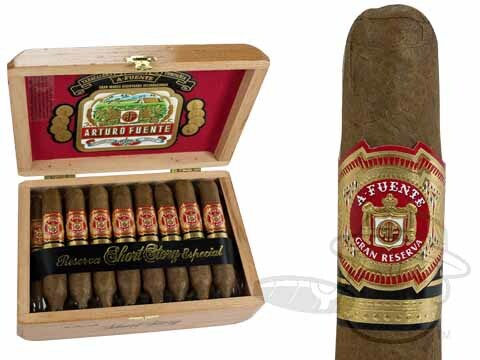 Arturo Fuente Hemingway Short Story is rated 4.3 out of 5 based on 52 customer ratings.